Learn about advertising and promotions? Learn how to manage a contact centre? Improve your knowledge of human relations and customer service? With Oxbridge Academy, you can do all of the above by studying a contact centre operations course via distance learning. Improve your client services skills? With Oxbridge Academy, you can do all of the above by studying a contact centre operations course via distance learning. We offer a range of courses that are designed to equip you with the skills you need to become an efficient and effective manager or employee in a contact centre environment.  Download the Contact Centre Operations brochure here. Have the opportunity to acquire job-relevant knowledge and skills. Be able to complete your course in your own time from home. Receive study material that is specifically designed to meet your needs as a distance learning student. Have access to academic support from a qualified tutor via telephone and email. 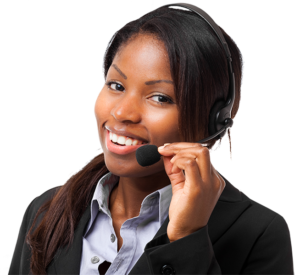 A contact centre is the central point in an organisation from which all customer data and customer interactions are managed. 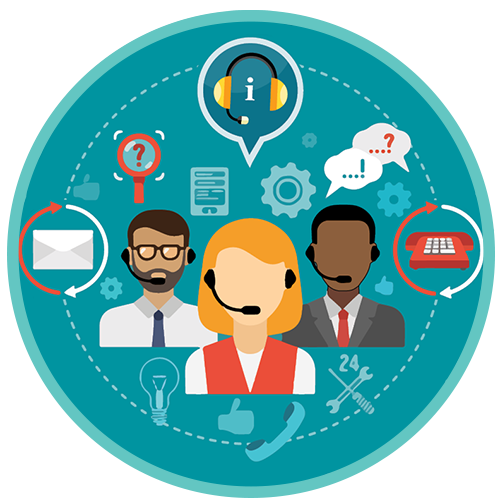 A contact centre is made up of people, processes and technologies, and forms an integral part of customer relationship management (CRM). When you study contact centre operations, you will learn about the functions of a contact centre, how it fits into the larger organisational structure, and how it can be used to collect and transmit valuable data. Depending on which course you choose to study, you may also learn about specific aspects of contact centre operations, such as data processing, customer service delivery, management of contact centre staff, advertising and promotions, and consumer behaviour. Fundamental knowledge of all these aspects will help you to improve your work performance, and will help you to become a more efficient employee. A career in contact centre operations presents you with numerous possibilities. You can work as a direct contact between customers and the organisation, as a manager, or in a behind-the-scenes role where you implement, monitor and evaluate systems and processes. In a contact centre environment, managers and senior staff members are responsible for activities such as supervision of staff, capacity planning, quality assurance, and reporting on contact centre performance. Junior staff members are generally responsible for activities such as handling queries and complaints, logging faults, capturing data, assisting with administrative tasks, and generally maintaining a high level of service delivery. 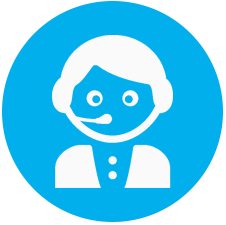 Note: To work in a managerial role in a contact centre, you will usually need a few years of relevant experience. Ready to develop the skills you need to work in a contact centre? Campaign manager: A supervisor who is responsible for managing a group of contact centre agents and for making sure that a contact centre’s targets and objectives are met. 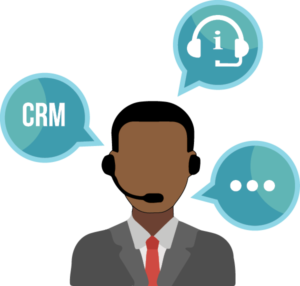 Customer relationship management (CRM): The systems and procedures used by an organisation to interact with its customers.